What a great personalized ornament to give your special skateboarder! 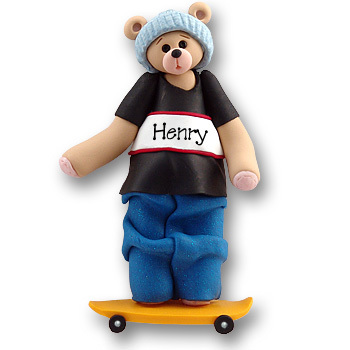 This adorable Belly Bear skateboarder is ready to hit the streets. He is totally decked out in all the traditional skateboarding gear. He is handmade from polymer clay and is designed by Debi Allison. AWESOME! !